I started milling lumber about 25 years ago with a chainsaw mill, which is just a chainsaw with an attachment to control the depth of cut. The simple device allowed me to consistently cut accurate lumber with a minimal arsenal of equipment. It was a great way for a guy who knew nothing about trees or logs or sawmilling to learn about producing lumber. 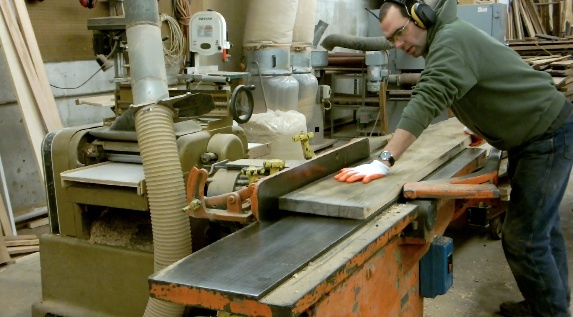 And, even today, I still use a chainsaw mill (Lucas mill) to cut the live edge slabs which we sell at WunderWoods. Customers are regularly impressed with the quality of the cut from the chainsaw mill, imagining that the chainsaw will necessarily make a terrible cut with a nasty surface finish, which it does not. 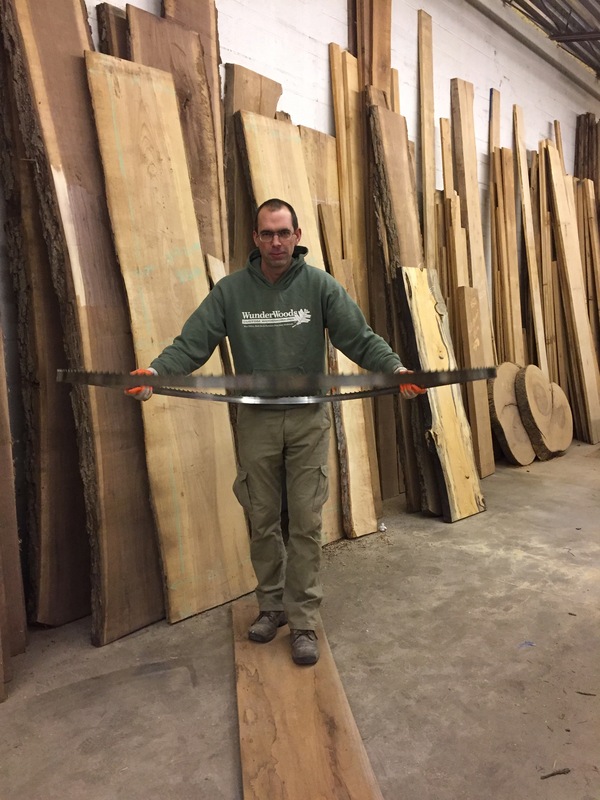 As a matter of fact, the quality of the cut from a chainsaw mill is better than the bandsaw – it’s very flat and absent of dips and doodles (scientific term) associated with thin bandsaw blades. 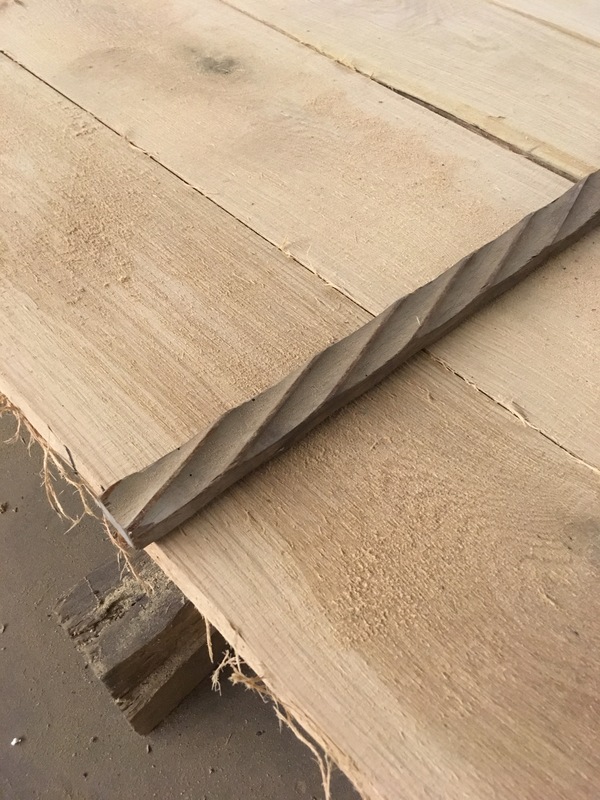 Don’t get me wrong, bandsaws can and do, cut just as well, but when they start to get dull or otherwise less than perfect, they will cut anything but flat. A chainsaw cut will remain flat as the chain dulls, it will just cut slower. A chainsaw mill is commonly referred to as an “Alaskan mill” because of the brand name “Alaskan mill” attachment made by Grandberg International, the same way you might call any facial tissue a Kleenex, but it doesn’t need to be this exact type. As far as I am concerned, any mill which uses a chainsaw chain and bar is a chainsaw mill, no matter the setup. This photo from Grandberg International shows their Alaskan mill attachment. 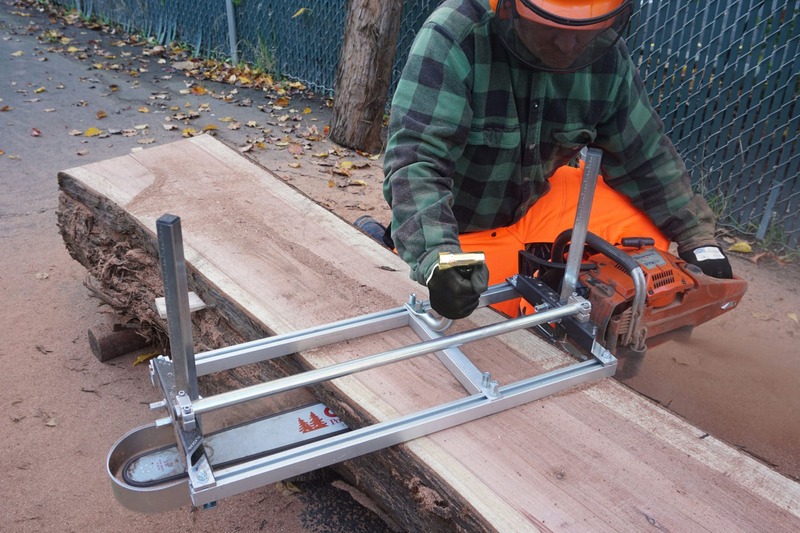 The Alaskan mill is a simple metal frame, which attaches to the chainsaw bar and can be adjusted to change the depth of cut. It is so simple, in fact, that you could easily build one yourself. They have never been too expensive, so I think most people just opt to buy one. 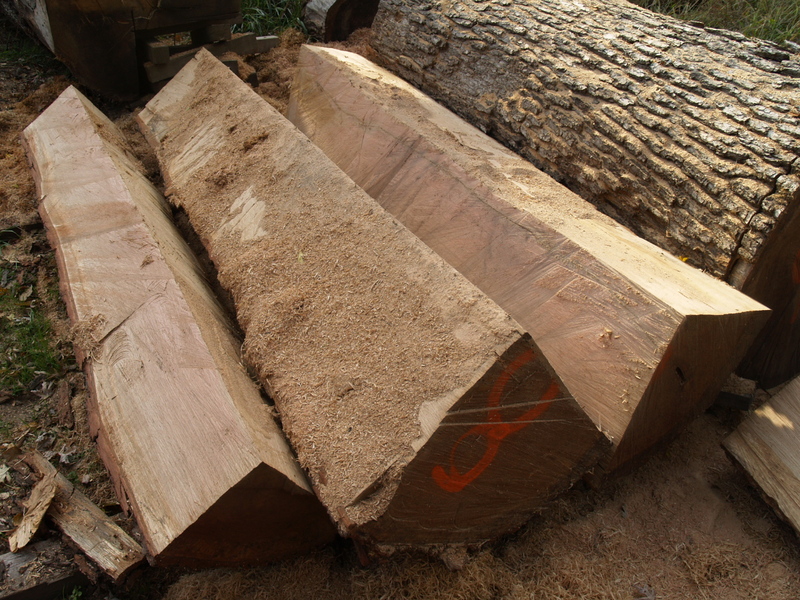 You have to set up two rails (many use a ladder) on top of the log to guide the first cut, but after that the Alaskan mill just rides on the previous cut. I am a fan of the Alaskan mill for its simplicity, and I have a warm place in my heart because it was my first mill. If you didn’t own a chainsaw and decided that you wanted to cut some lumber, you could be making your own lumber for about $500, for a small chainsaw and the Alaskan mill attachment. I started with the Alaskan mill after reading an article about a father and son using one to cut logs in the woods. I thought it would be cool to cut my own lumber with a chainsaw, and I didn’t want to invest too much in the beginning because I didn’t have a source of logs. Plus, I didn’t own any land, wasn’t friends with any tree service guys and really had never even used a chainsaw before, so I wasn’t sure if it would take. The Alaskan mill promised me the ability to cut lumber anywhere and be able to do it with no heavy equipment – a small pickup truck was more than enough to get milling. The Alaskan mill works just as advertised, but understand that it is not a production machine. The operator is the sole source of power, and as such, it isn’t an easy row to hoe. 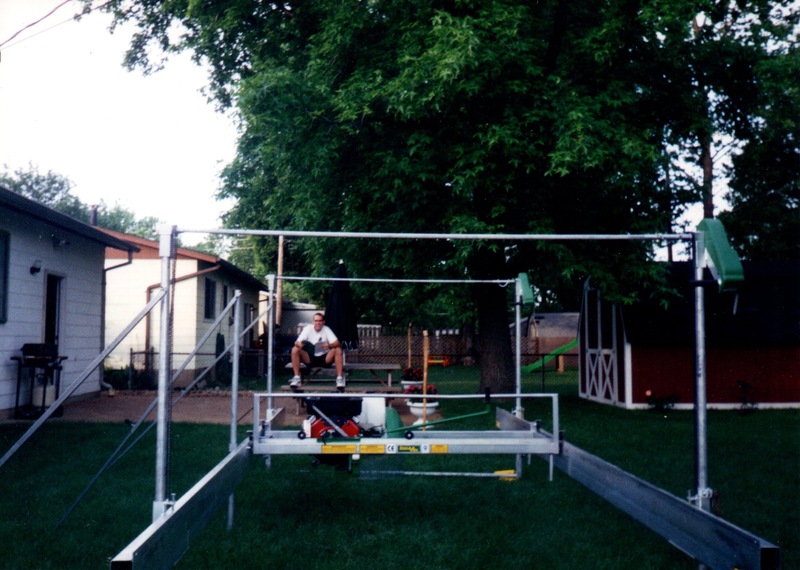 It would take me most of the day, by myself, to load up equipment, travel, set-up, mill one 20″ diameter x 8′ log, clean-up, load up equipment and lumber, and travel back home. That was fine with me at the time because I was young and I was tickled to end the day with more than 100 board feet of hardwood lumber. Using my simple logic, my equipment would be paid for in just a couple of logs. Needless to say, this milling thing did take, and I kept on finding more logs and milling them. It didn’t take long for me to feel like I needed more production, so I moved up to a Lucas mill, but funny enough, not with a chainsaw slabbing attachment. I bought it only with the circular saw setup, which appeared to cut much faster. I then moved onto a bandsaw mill, then to a large circular mill, then back to a bandsaw mill, and only then back to the chainsaw mill attachment for the Lucas mill. Scott Wunder (a long time ago) with his new Lucas mill, just getting it set up for the first time. 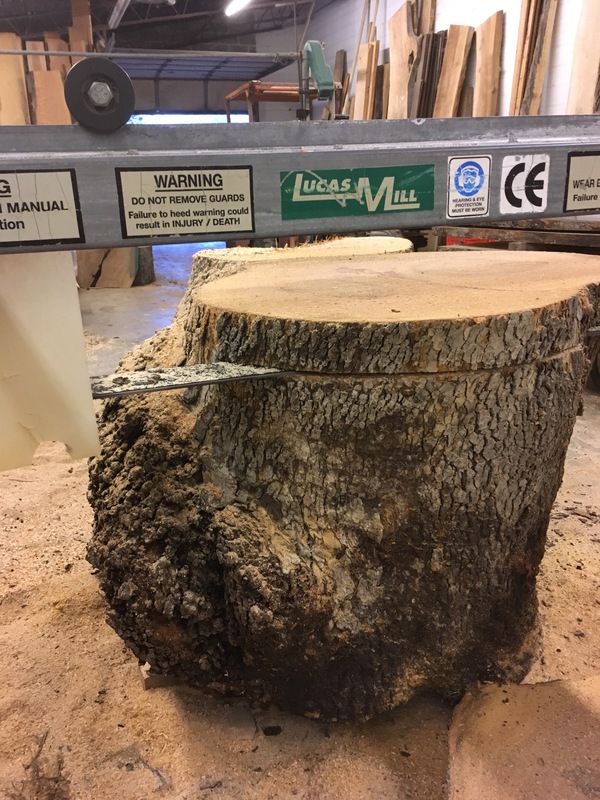 I always liked the Lucas mill and once wide, live-edge slabs started coming into style, it just made sense to use the Lucas with the chainsaw slabbing attachment to cut big logs. The mill I use now (a bigger Lucas mill) is a major upgrade to pushing a chainsaw through a log and really makes the process more enjoyable. I still have the noise of the engine and need to sharpen the saw quite often, but the sawdust and fumes aren’t directly in my face and I don’t have to work so hard to push the saw through the cut. 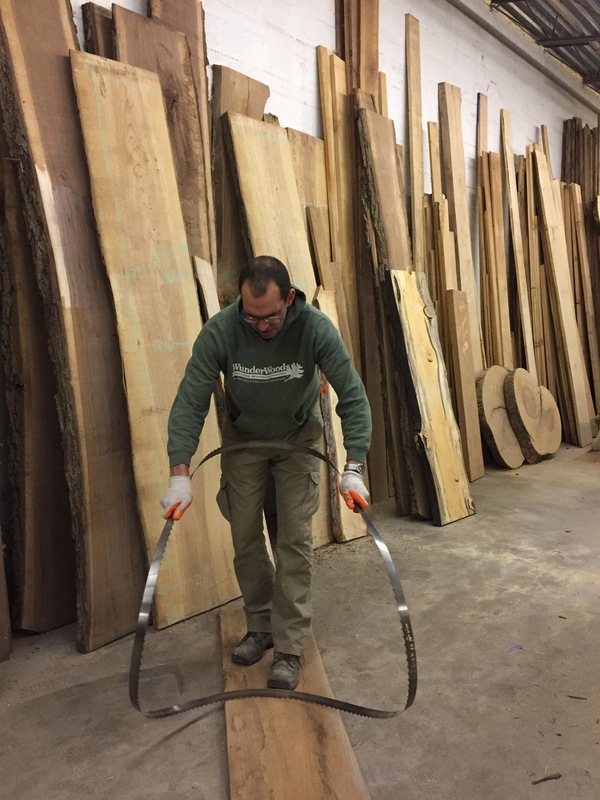 The hardest part now is moving the slabs out of the way, since the Lucas mill can cut up to 60″ wide and they get quite heavy. 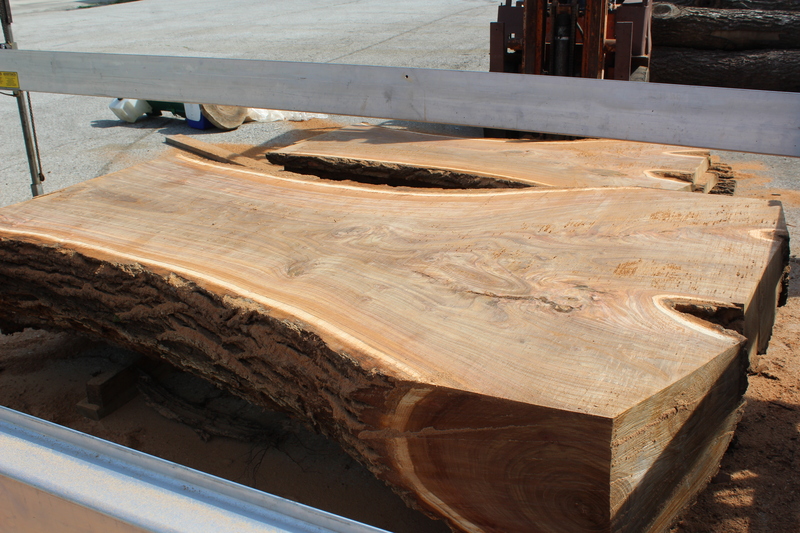 This Siberian elm slab maxed out the Lucas mill. 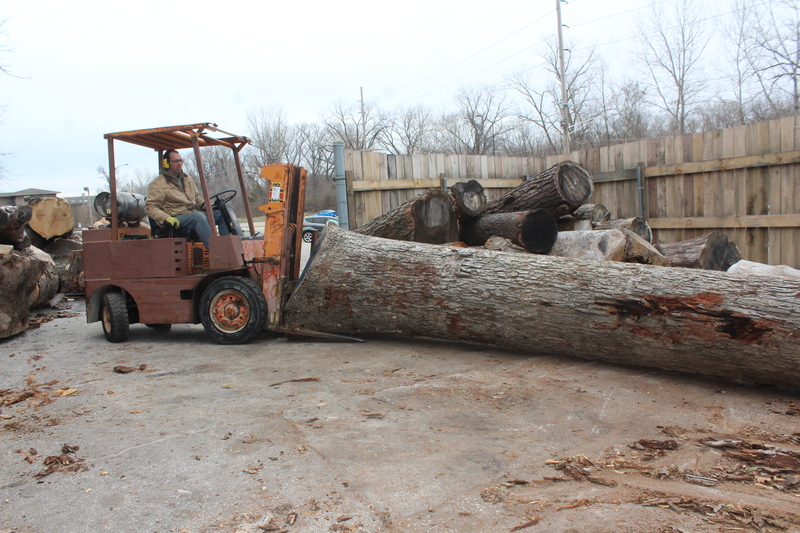 Most white pine logs are not as wide as this one, which was also cut on the Lucas mill. This sycamore log is a perfect candidate for the Lucas chainsaw mill. 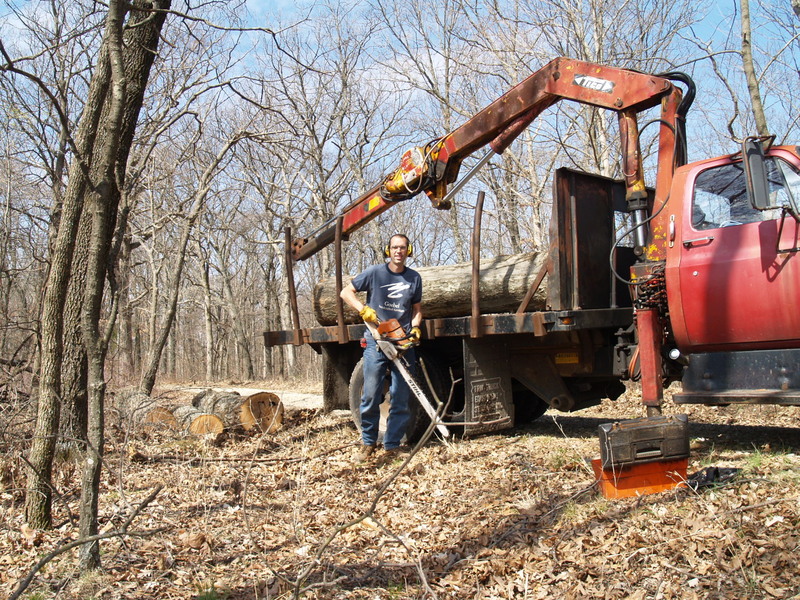 I was prompted to write this because even though I have upgraded to the Lucas mill for my sawmilling, I still do a lot of work with a chainsaw, and I want to remind or encourage everyone to not forget about their chainsaw as a means of milling. Don’t think that you need a “sawmill” to produce high-quality lumber or that if you have a “sawmill” that you no longer need your chainsaw. You won’t get dazzling production numbers, but you can still be milling at almost any time with just a chainsaw. I am reminded of this all of the time when I see posts from others of the big and beautiful wood they have cut, just by taking their chainsaw mill to the tree. Even if I am not using it for the actual milling, there are plenty of times where the chainsaw still comes into play, whether freehand or on some type of mill, and I am still amazed by the simplicity of it all. 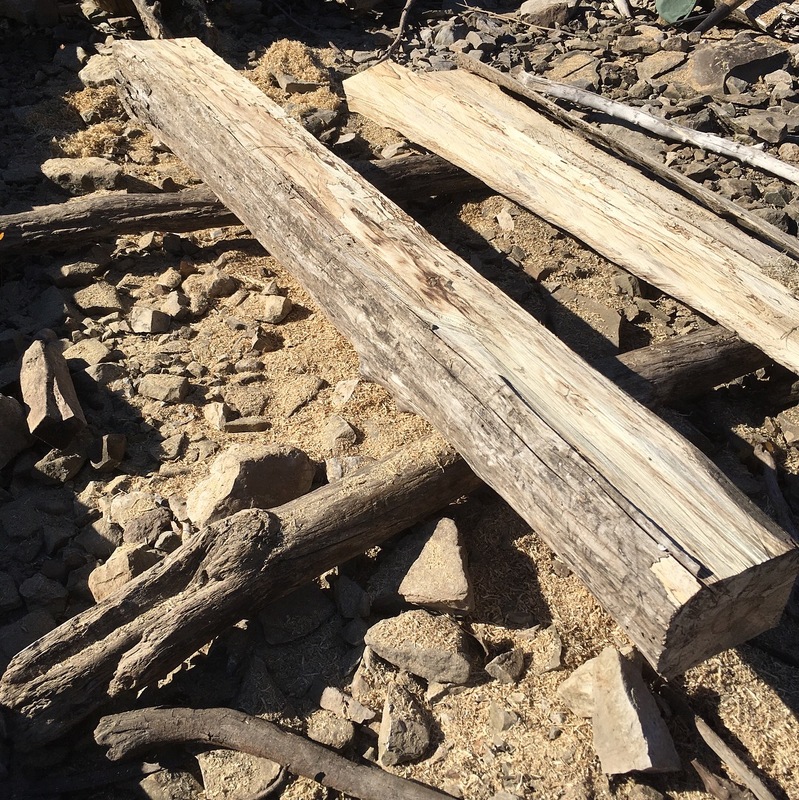 I use the chainsaw to rough mill mantels which we haul out of tough locations by hand and to cut large logs into quarters for further processing on the sawmill. I use my chainsaw to get big logs cut into manageable pieces. 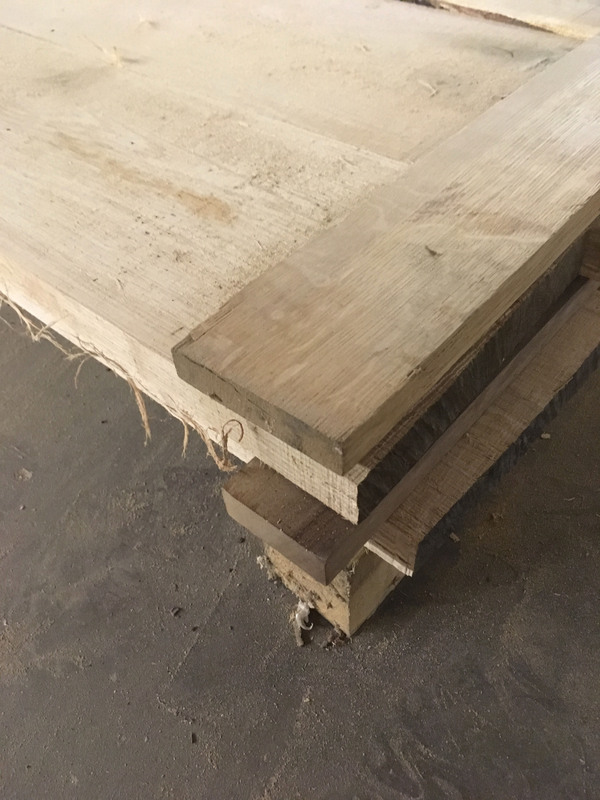 These white oak quarters are now ready to be milled into quartersawn lumber after being cut lengthwise with a chainsaw by hand. I also use a chainsaw by hand to rough mill logs in tough spots, like this soon-to-be elm mantel. 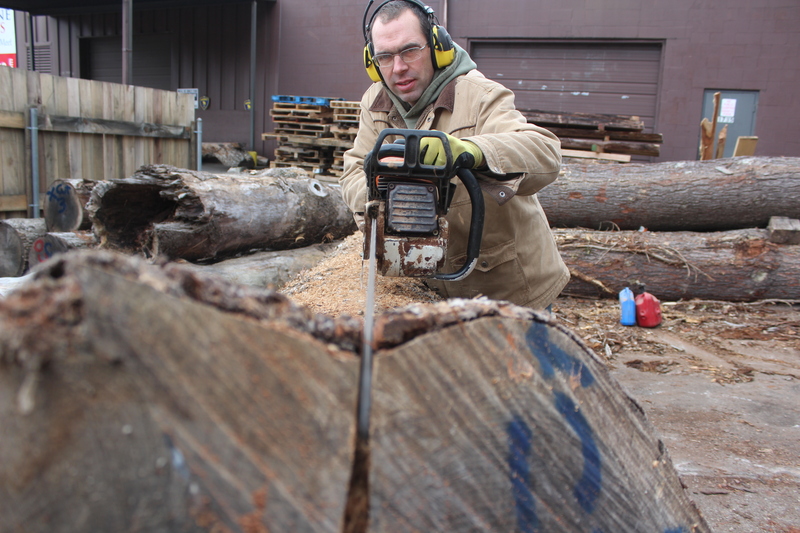 Every time I do some sort of work with the chainsaw, especially if it is part of the milling process, I always think back to my early days and appreciate what it can do. I think I really like the idea of knowing that if I needed to, maybe if I was stranded on an island full of large trees (and plenty of gas), I could mill everything I needed with just a chainsaw – maybe one with an attachment, but still, just a chainsaw. Feel free to send me a photo of your chainsaw milling, and I will be glad to post it here with a link. I am sure everyone would love to see what is possible with a chainsaw/chainsaw mill. I use a lot of tape on a regular basis. 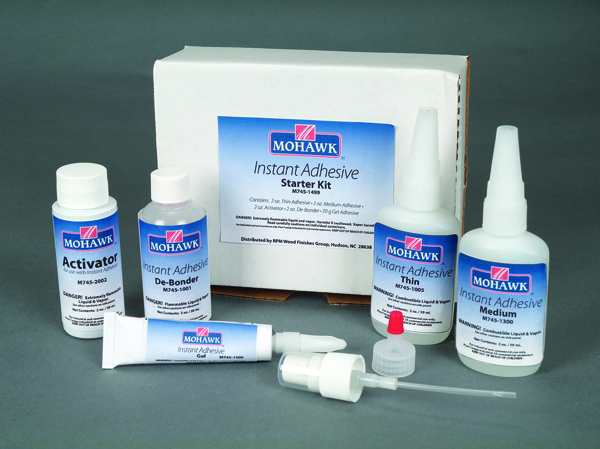 Usually it is for regular things which you would guess require tape – normal things like holding parts in place or masking something off before finishing. I always have tape with me, from blue masking tape (my favorite) to electrical tape, and we keep plenty of other tapes in the shop, including packing tape and aluminum foil tape (my second favorite). No matter which tape you prefer or which of these you have with you, they are all equally good for one thing – cleaning up. That’s right, cleaning up. 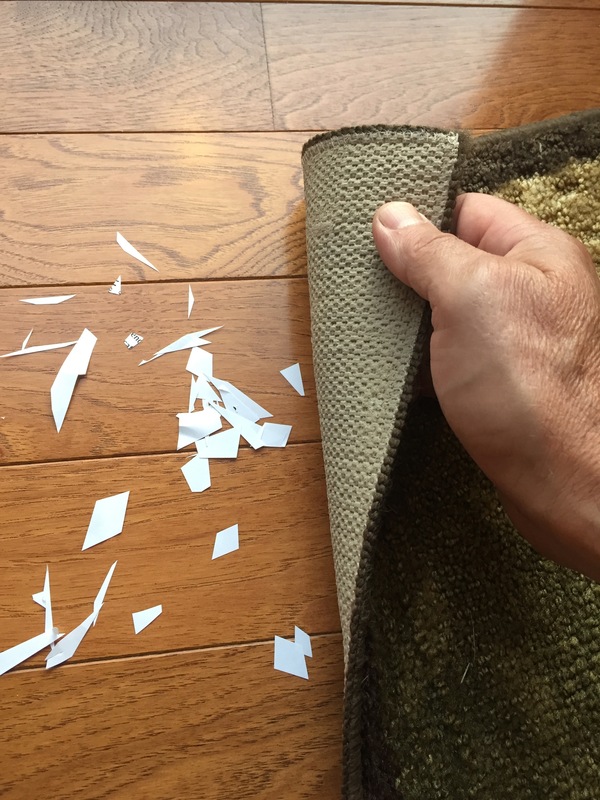 A nearby rug can be a handy clean-up tool too. You see, I was on an install about 15 years ago which was small (only drilling a few holes), and I brought nothing with me to clean up. Since there was no rug nearby to sweep the dust under, I decided to use some tape like a lint roller to clean up the mess. I simply rolled the tape around my hand, sticky side out, and used it to pick up the dust. And, it worked great! 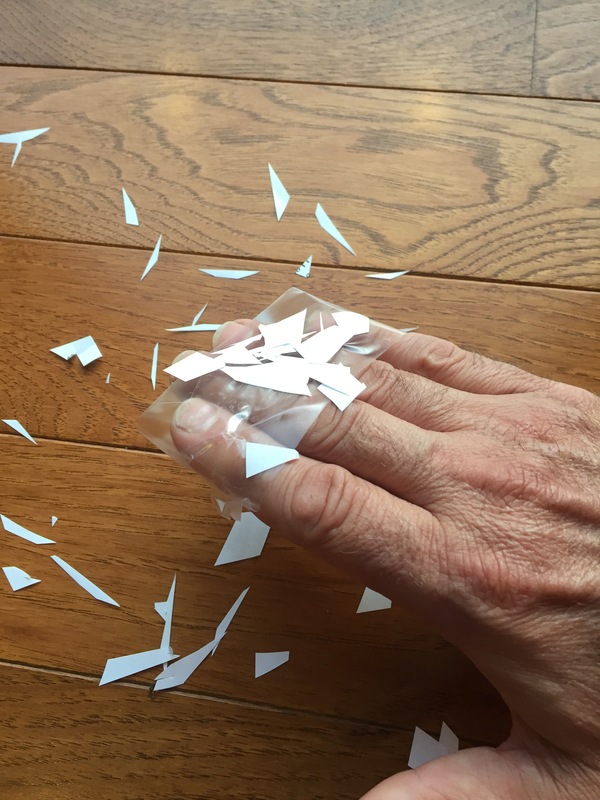 Tape does a great job on manly messes like glitter and paper scraps (above). Now, whenever I don’t have a vacuum or a broom handy, or if I just want to impress the ladies, I reach for the tape and pick up the mess. 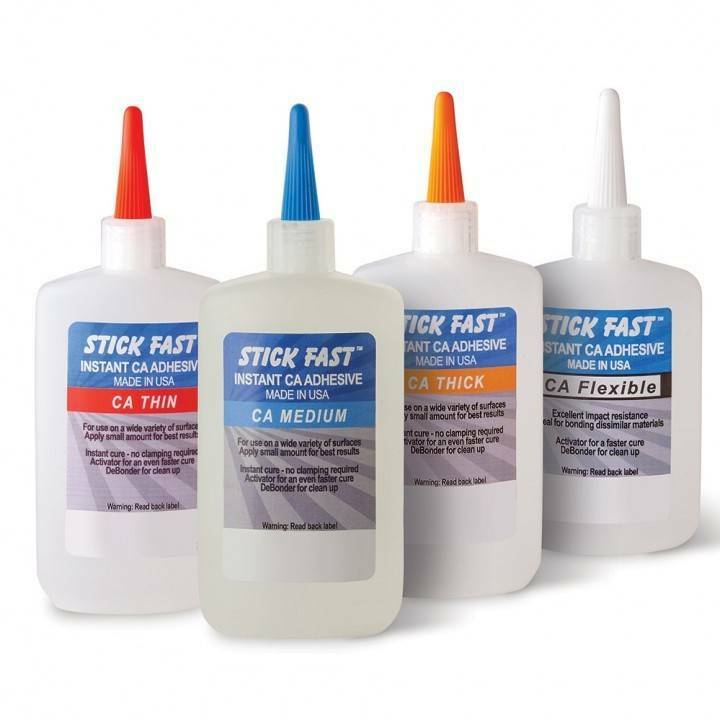 And, while not perfect for cleaning big messes, tape excels at thoroughly cleaning up small, lightweight messes which are hard to grab and tend to easily fly around or cling with static. On the job site, I use tape to clean up all kinds of dust and debris. 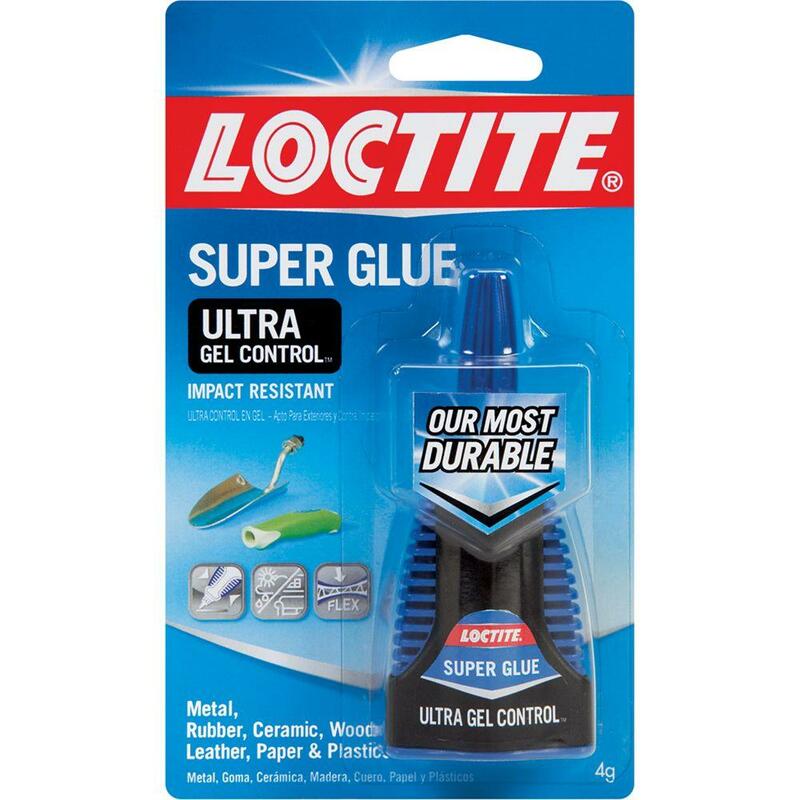 And, at home, we use tape to clean up after doing home repairs and craft projects (it works amazingly well on glitter). My fancy tape clean-up method works so well that I don’t bother to turn the truck around when I realize that I head out without any official cleaning tools. Next time you find yourself needing to clean up a little mess, don’t go searching for a vacuum either. Just get out the tape and get on to the next job. This giant sycamore from Grant’s Farm was milled into round table tops. 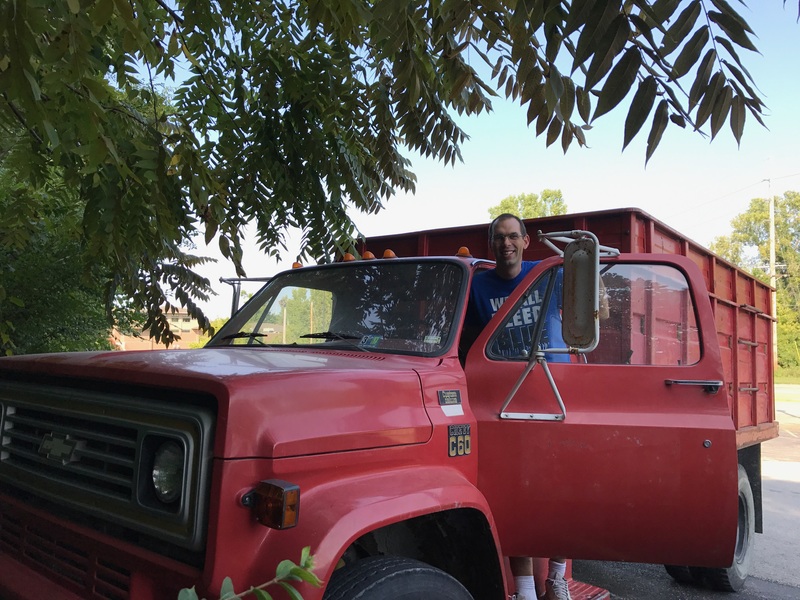 When I purchased my 1977 Chevy C-60 in 1998, I was looking for a truck to haul logs for my infant sawmill business and not much more. All I knew was that I didn’t want to spend much money and as long as it ran, I would be a happy owner. I only spent a few thousand dollars to buy it and a few more to make sure it ran and that the crane wouldn’t leak hydraulic fluid everywhere. 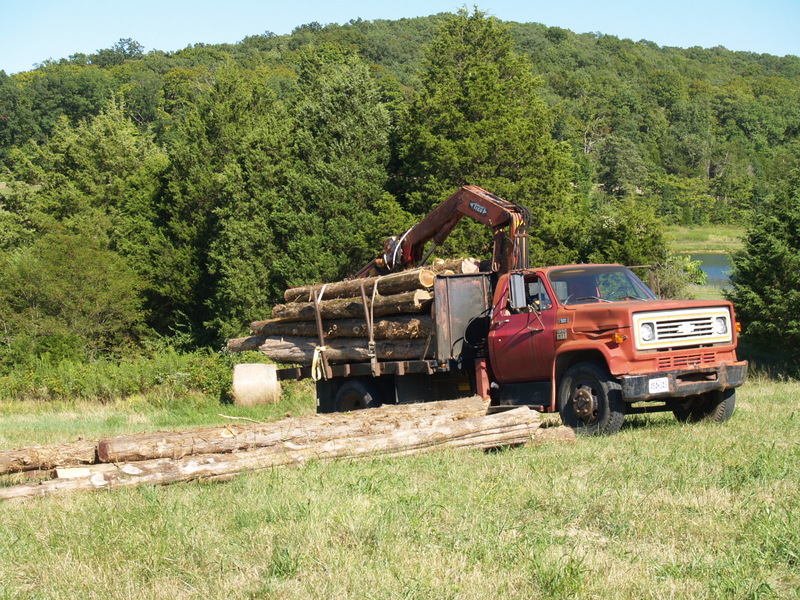 Since then, I have used my truck to haul an amazing array of logs, from small firewood pieces to giants which would only fit one wide across the bed. Not that I haven’t busted it along the way, but I have never had a problem with carrying lots of weight. 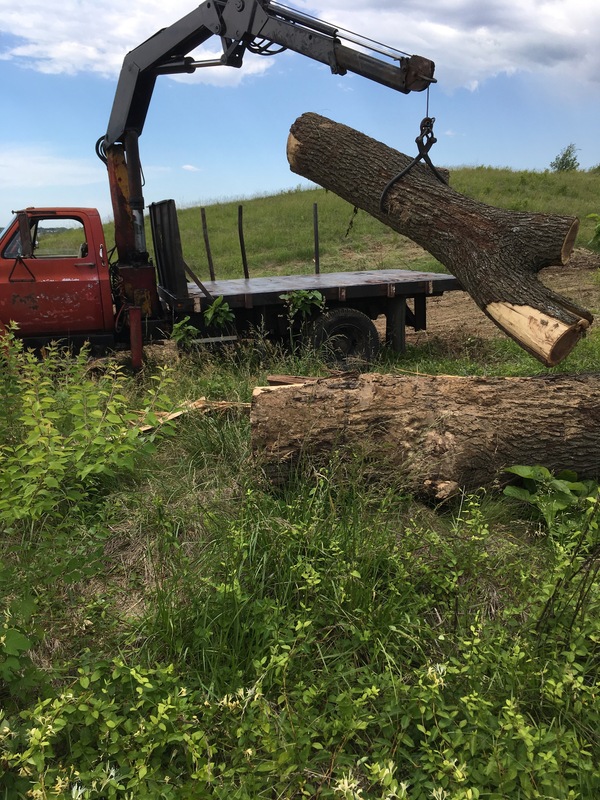 Even when a loader operator dropped a 4’ diameter by 13’ long sycamore log onto the bed from a few feet in the air, it has always bounced back and asked for more. I bought the truck well-used, so it has never been much of a looker, but it didn’t bother me. 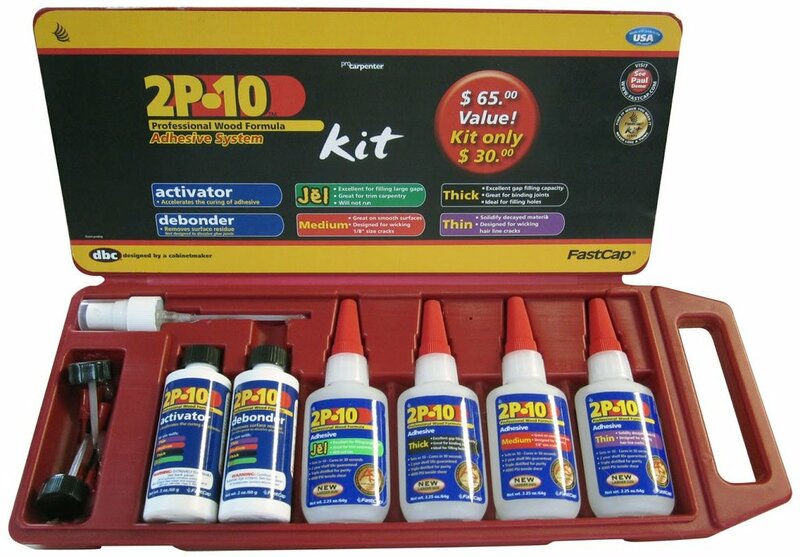 And, though I thought I might one day “fix it up”, I never did because I knew I would just mess it up again. After all, I used it as a work truck, not a show truck. 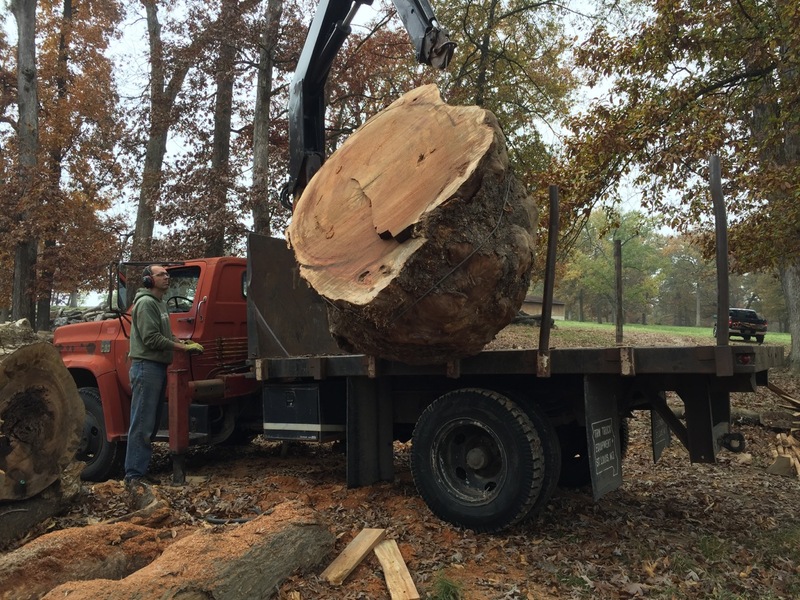 Big logs, like this walnut, get on the truck one end at a time. What it lacks in looks it makes up for in versatility and drivability. I feel as comfortable driving that truck as I do any pickup truck and love that I can use the crane to load almost anything. Even if the logs are extra big, I can simply pick up one end of the log at a time and work it on to the bed. I also love that the truck isn’t too big, so I can fit into tight spots and I don’t feel like I am going to destroy the place when I pull in. My C-60, which is now 40 years old, recently blew the engine. When it happened I had a tough decision to make — put more money in the truck which I loved but was in very rough shape or put the same money towards another truck. I couldn’t decide, so I did both. I purchased the exact same truck, but with only 50,000 miles and in much better shape. (I love farm auctions!) It is a 1977 Chevy C-60, also in its original red, with original everything and only one door ding. I am currently working on moving the bed and crane from my original C-60 to my new C-60 and plan to use it for another 40 years. This is my “new” 1977 Chevy C-60 that will carry on the tradition. How much is your log worth? The short answer is probably not as much as you had hoped, but you’re not here for the short answer, so I’ll give you the long one. First off, you need a bit of background of where I come from on this subject. 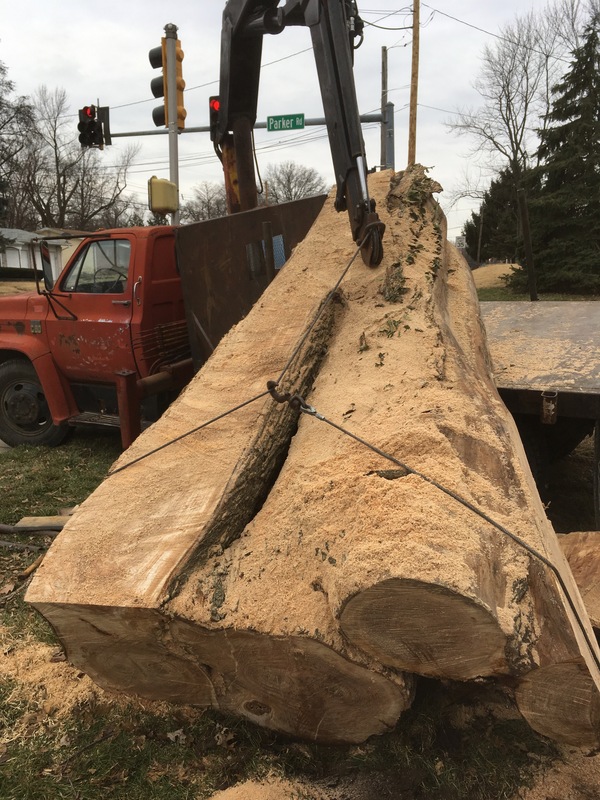 I mill, sell and work with lumber from mostly suburban settings with lots of yard trees salvaged from tree services and a decent number of logs from wooded settings, usually where a building is about to be erected. This means my log supply can range from barely usable to awesomely perfect and all with lots of wacky and wild in between. I normally pay nothing for my logs and only buy a couple of logs per year, which I just can’t live without. I mostly don’t pay for logs because I mostly don’t have to. There are lots of logs available to me, especially if I am willing to pick them up. 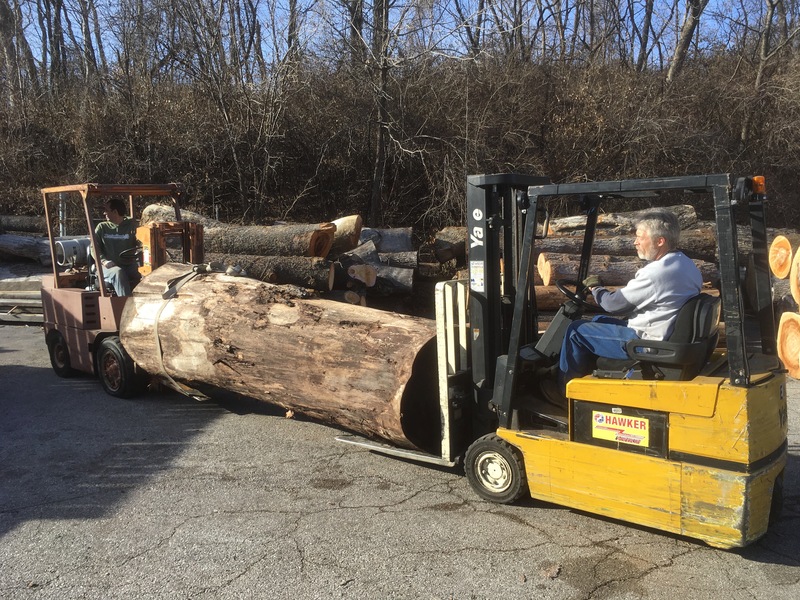 Since I work in an area with a large population (St. Louis and St. Charles, MO), I often get requests from homeowners looking to make money from their logs, especially after hearing age-old stories of walnut logs selling for thousands and thousands of dollars. 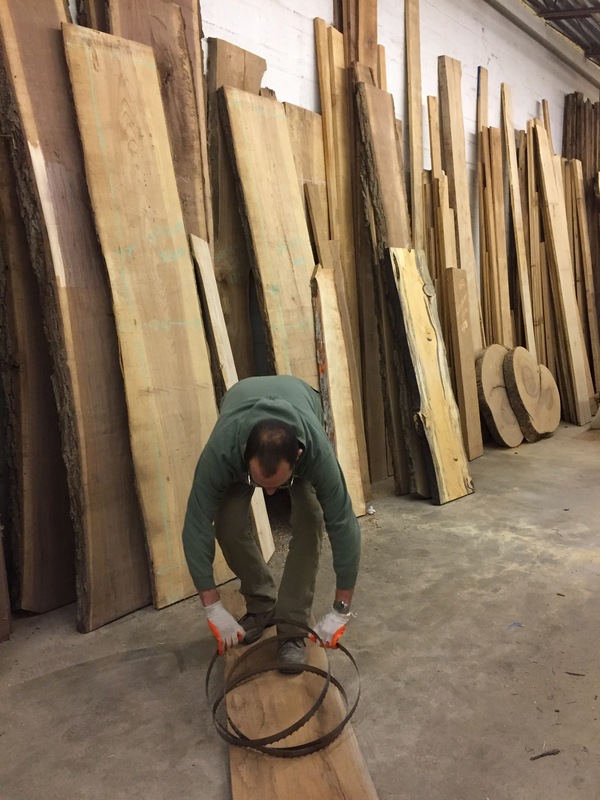 These consistent requests and a recent article in the Missouri Conservationist magazine (click here to read the article) about Missouri hardwoods prompted me to put into writing what I have repeated probably hundreds of times. A log is worth as much as someone is willing to pay. This sounds like a smartass answer, but it isn’t. If you don’t know where to sell your logs or you can’t find someone in your area willing to pay, they aren’t worth much. And, if you can’t get your logs to the buyer they are worth even less. Especially, if you only have one tree, expect no excitement from someone who normally purchases logs. You won’t get a larger purchaser, like a big sawmill, to come out for less than a truckload. Your log probably isn’t as great as you think it is. You would be amazed by how many people call me and tell me about a walnut tree in their yard that is at least 40 years old or about the tree which has its first branch at 5′ from the ground. A walnut tree is a baby at 40 years old and is obviously a short, branchy yard tree with not much of a log if there are branches 5′ from the ground. A good tree, one worth really talking about, will have at least 10′ of branchless trunk, if not 14′ or 16′ or more. Just because it is a walnut tree, doesn’t mean it is a good walnut tree. This walnut tree was about 90 years old and produced a very nice stem. The bottom log has about 250 bf. in it and would fetch about $500 dollars delivered to a sawmill. The top log in the pile and the second log up in the tree has about 200 bf. in it and would be worth about $175. Most high-dollar logs are veneer-quality logs. Almost all of the stories of logs selling for high prices are for veneer-quality logs. And, almost all of the logs out there are not veneer-quality logs. 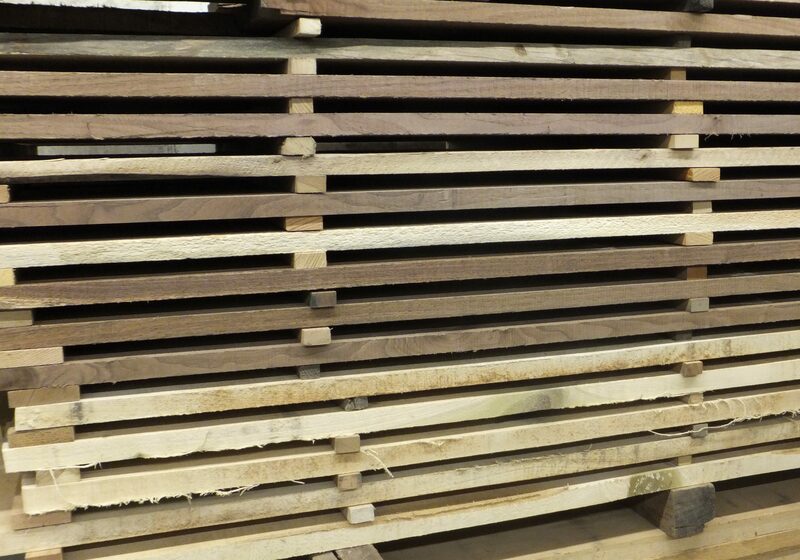 Veneer logs look like they came from the “log factory” and are perfect in every way; no signs of knots, straight, round, good color, good growth ring spacing, centered pith, no bird peck, no shake, no metal, fresh, and hopefully, big. I only get a few veneer quality trees out of hundreds per year and they almost never come out of yards. They are usually hidden somewhere in the woods. 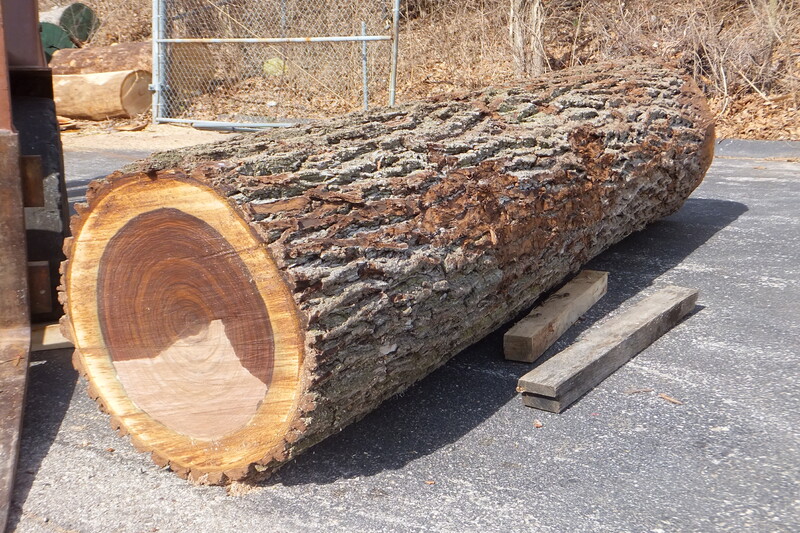 White oak logs don’t get much better than this 16′ long x 30″ diameter example. Yet, the veneer buyer wasn’t interested in purchasing it because the color was not good. Yard trees have metal in them. This is no myth. 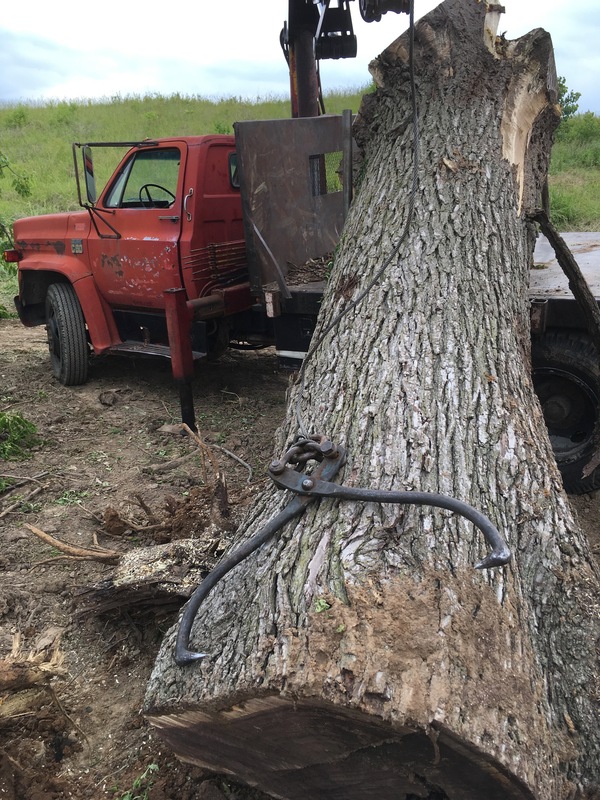 Whether you remember doing it or not, there is a good chance your yard tree has metal in it. Metal, like nails, hooks, wires and chains mess up saw blades and make a mess by staining the wood. I expect trees I pick up to have metal in them, and I will work around it, but remember, I don’t pay for trees. Larger operations have no reason to buy logs with metal in them, especially if the next log truck in the gate is full of logs without metal. 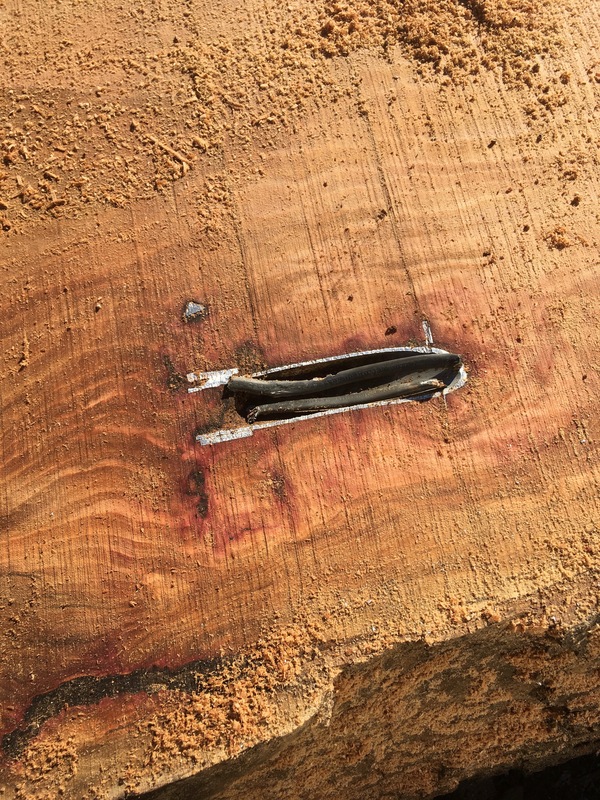 Bottom logs have the most valuable wood and the most metal, like this electrical conduit with wires. You don’t know what you don’t know. If you are reading this, it is most likely because you don’t sell logs on a regular basis (or, you just want to see if I know what I am talking about). Without doing this consistently, you can’t know enough about your logs to properly sell them. You can’t get it in front of the right people at the right time and present them with something they can’t live without, and you definitely can’t defend your product. You will be at the mercy of the buyer. They will know after the first thing out of your mouth that you do not know what you are doing, and even if they are fair, they will never overpay. This is a good-looking walnut log, but it has a lot of sapwood (white ring on outside), which will make it less valuable. If you don’t sell logs regularly, there is no way you would know that this could be an issue for some buyers. Average price, based on 20″ diameter inside the bark on the skinny end x 10′ long = 160 bf. 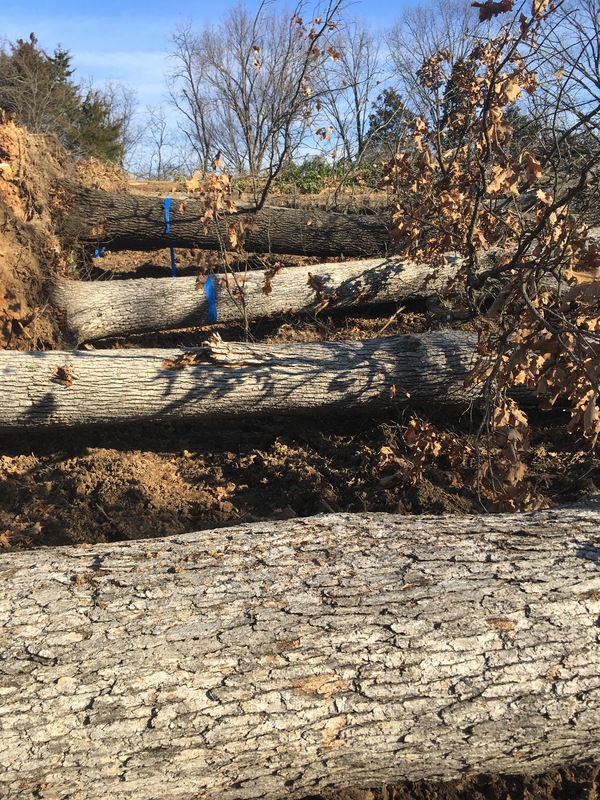 This mix of 10′ x 20″ black oak, white oak and post oak trees from a homebuilding site would sell for about $75-$100 each, delivered to a local sawmill. Now, obviously prices will range from mill to mill, based on what wood is available in the area, what is selling well and if the mill specializes in any products or species. The above prices should just serve as a guidepost in determining if bothering to sell your logs is worthwhile. Most of the logs in the pricing example above would not cover the price of trucking on their own, so marketing one log most likely doesn’t make sense, unless you can haul it yourself. However, you can see that if a landowner were to have a large number of trees, the money could start to add up. $112 for a red oak log doesn’t sound like much, but it starts to sound like something when there is a semi truckload of $112 logs. 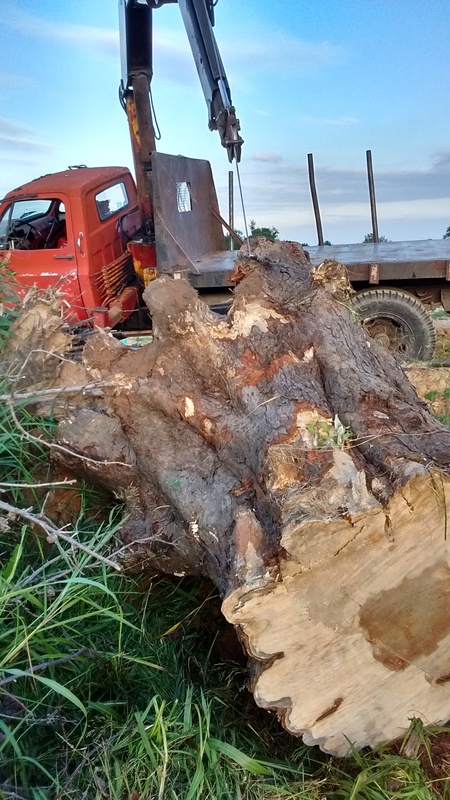 This is what most large timber sales are based on; a large number of logs sold at a fair price and not necessarily getting rich on one tree. 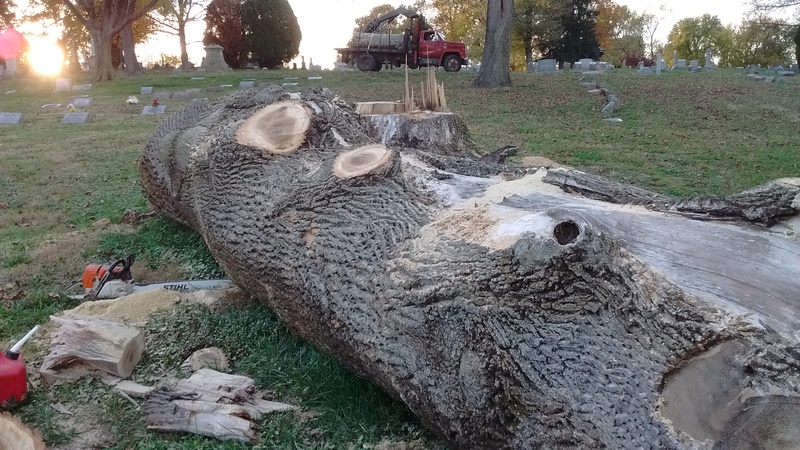 Usually, the phone calls I answer are about a single “big” walnut tree which will cost a homeowner lots of money to remove because it is large and right up against the house. They see a big log worth big money. However, the removal costs also jump up with the increase in tree size, negating any benefit of a larger tree. Their hope is that I will be excited enough about their tree to cut it down (safely, I presume) in trade for the wood, but the math doesn’t work out. 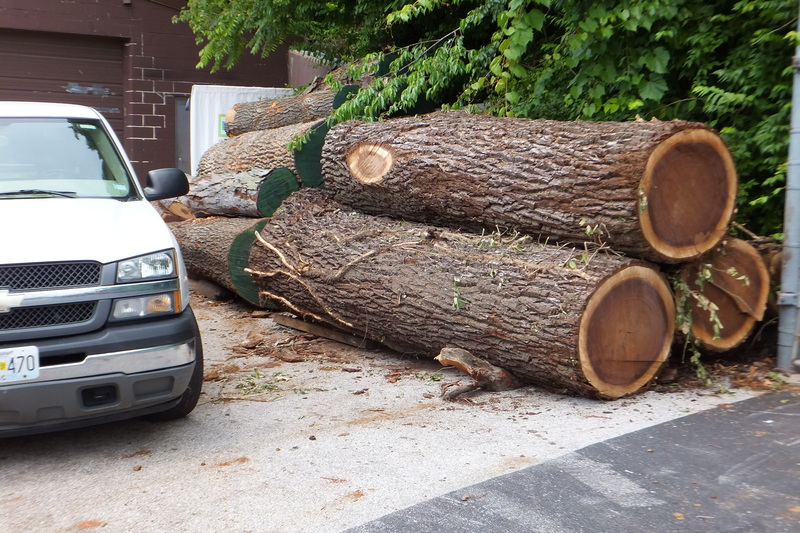 A tree which costs $3,000 to remove probably won’t have $3,000 worth of logs in it, no matter if it is walnut or not. Remember, the bottom line is that logs do have some value, but if you can’t do all of the work like cutting, hauling and selling yourself there is almost no way to make money on a single tree. Unless, of course, you just happen to have a tree like the ones below that I couldn’t live without. 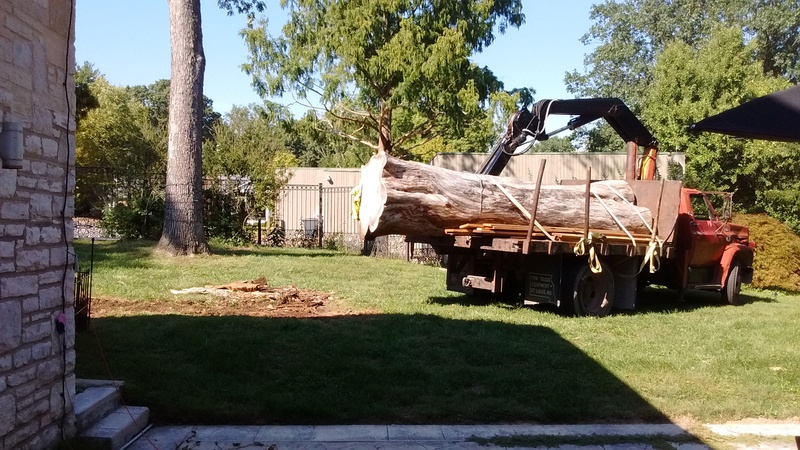 This 11′ x 42″ diameter walnut took two forklifts to move and was one of only two trees which I purchased last year. I paid $950 for this log and it is the largest walnut I have personally processed. This log is potentially worth more money, but it had several obvious signs of metal, so larger mills weren’t interested. 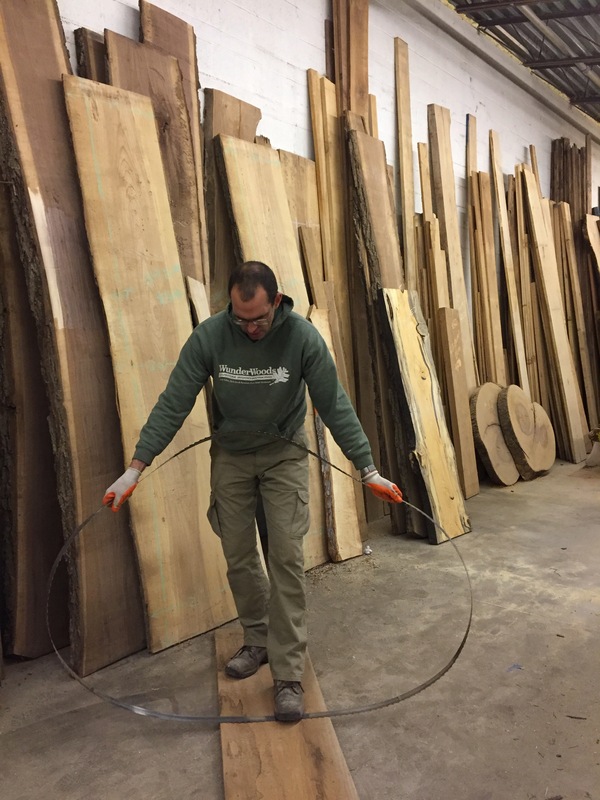 This 15′ x 38″ diameter walnut was the second of only two trees which I purchased within the last year. 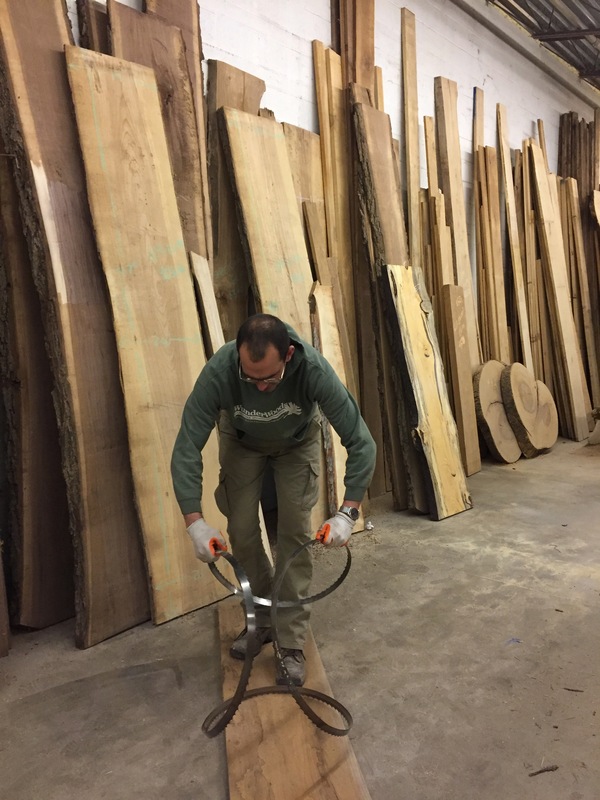 I paid $700 for the tree and it is the second largest walnut I have ever cut. This tree also had metal in it, which kept the price down.